Innovation from within an organization often takes place in so-called Innovation Labs or via Open Innovation. Find out what those are and how ideas can be developed here. 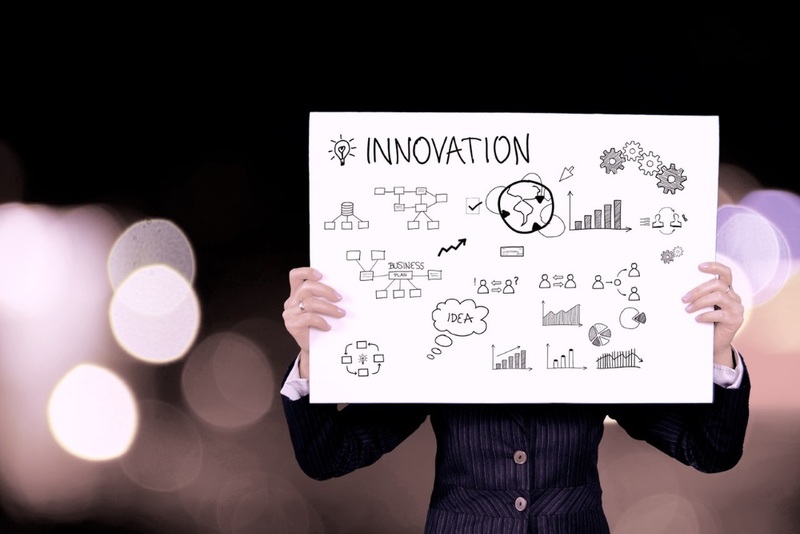 In the first part of the "Employee-Led Innovation" series we’ve already looked at the advantages of developing new ideas in this way and what creativity and innovation mean in the first place. Now we’re going to look at a method that lets employees be creative without being steered in a particular direction: Innovation Labs. An Innovation Lab is a physical or virtual space with a real or virtual infrastructure that serves to initiate and implement innovative ideas. It is usually spatially separated from the parent organization so you can start with a clean slate. In an Innovation Lab everyone can work for themselves, but ideally creative minds work together in different constellations to facilitate creativity. In addition, the newly developed ideas can be implemented and tested in the form of prototypes (e.g. with the help of 3D printers) directly in the lab. The aim is to combine the know-how and financial possibilities of established companies with the innovation potential and mentality of start-ups (flat hierarchies, fast communication, short decision paths). Basically, there are two types of labs: companies either operate an outsourced think tank in which creative minds from their own ranks tinker, or a so-called incubator is opened. In an incubator, external start-ups are supported with knowledge and money - in hope of benefiting from their ideas (Open Innovation). Open Innovation is about building a network and getting input from outside. This blog series, however, will deal with methods of how one's own employees can develop ideas – so we will concentrate on think thanks for an organization’s own employees. A key question when setting up an Innovation Lab must be how the developed ideas return to the company. Ideally, there should be a direct line to upper management. If this is not the case, it is essential to ensure that the person responsible for idea management is familiar with the start-up culture and open to new ideas. Otherwise your Innovation Lab is doomed to fail right from the start. Flexible systems and hierarchies. This means giving employees the necessary freedom from their daily work. If that is not the case, your Innovation Lab will remain nothing but an empty shell, because employees won’t be able to be creative - let alone be motivated enough - after working all day. In addition, the fear of established structures and hierarchies must be removed: Constructive criticism must not only be allowed, it must be desired! This is the only way to improve processes. Atmosphere of inspiration & creativity. In addition to encouraging constructive criticism, you must encourage creativity and inspiration in your employees. Create an atmosphere of constant learning and discovery - just like with children. Try to inspire your employees to think critically and see innovation potential everywhere. Let them make new connections between known facts or actively encourage your employees to combine the old with the new. Encourage changes in perspective and mix and match teams. The possibilities are almost endless! Atmosphere of tolerance. Inspiration and creativity are important but are of no use if your employees are afraid to approach you with their ideas out of fear of being rejected. Communicate to your employees that it is all right to fail, stress that even if something goes wrong, there will be no serious consequences, as it’s better to try and fail than simply do nothing. Nothing should stand in the way of your innovative strength then. Innovation Labs are a good way to promote creativity among your employees if there are enough incentives. However, it is important to find the right balance: On the one hand, employees must be given the necessary freedom, on the other hand a regular exchange is indispensable in order to be able to use and further develop ideas effectively. Employee-Led Innovation (2): Innovation Labs and Open Innovation - InLoox • Copyright 1999-2019 © InLoox, Inc. All rights reserved.